Find out about our eco-friendly insulation provided by Alpha Spray Foam, a division of Protective Barriers LLC. Protective Barriers, LLC assists developers, builders and contractors in obtaining national Pollutant Discharge Elimination System (NPDES) permits and to maintain compliance during the construction process. 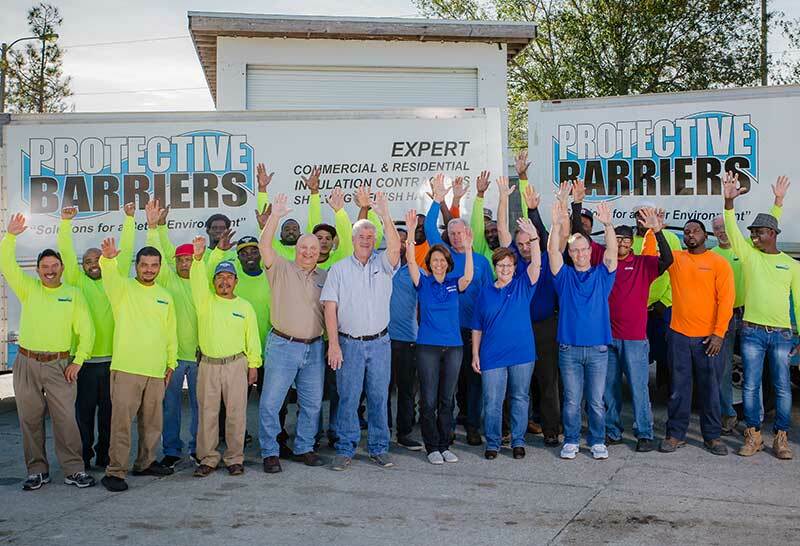 Protective Barriers is dedicated to meeting the rules and regulations promulgated by the State of Florida and the federal Government to positively promote the construction industry and to protect Florida’s valuable water resources and it’s unique environment. “I used them to install extra insulation in my attic and it was done right. We look forward to helping you with your commercial and residential needs. Our experienced and knowledgeable staff is ready to help assist you with your project ideas. We are fully licensed and insured, and we stand behind our work 100%. Call today to schedule a free consultation. © Protective Barriers . All rights reserved.